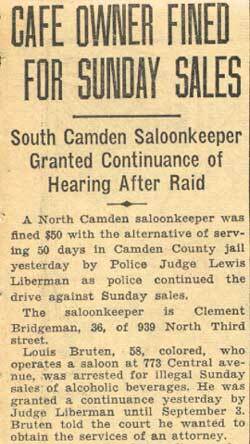 Clement Bridgeman operated a saloon in a building owned by Mary Frank at 939 North 3rd Street in Camden in the 1930s. He also served clams and oysters there. 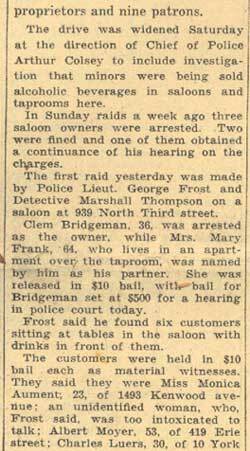 By 1947 the bar had been closed. Clement Bridgeman was born in Pennsylvania on March 14, 1900 to Joseph and Mary Bridgeman, one of at least seven children. 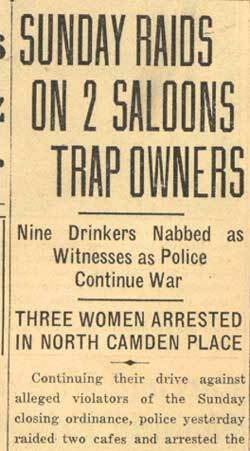 His family moved to 415 Bailey Street in North Camden sometime after 1913. By January 1920 Joseph Bridgeman was working at the J.B. Van Sciver's furniture factory. Clement Bridgeman, along with brothers Joseph Jr., Paul, and Leo were all working as laborers in a nearby box factory. 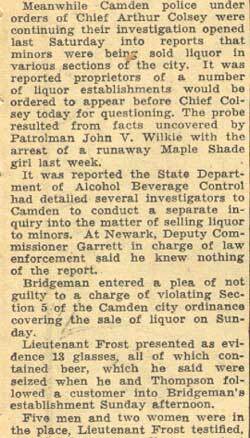 At the time of the 1930 census he was working as a machinist in a machine shop, and living with his parents at 415 Bailey Street. 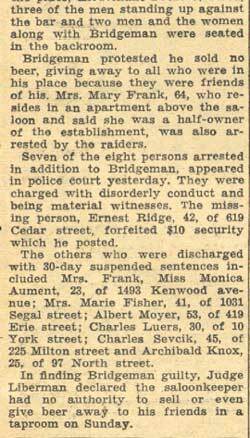 By 1947 Clement Bridgeman was married, and with wife Monica lived at the 415 Bailey Street address. 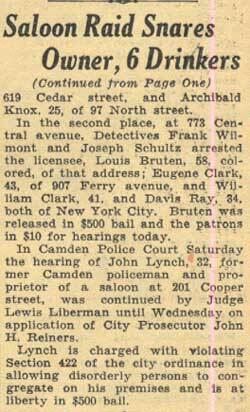 Clement Bridgeman passed away in August of 1966. His family still lives in Camden County.